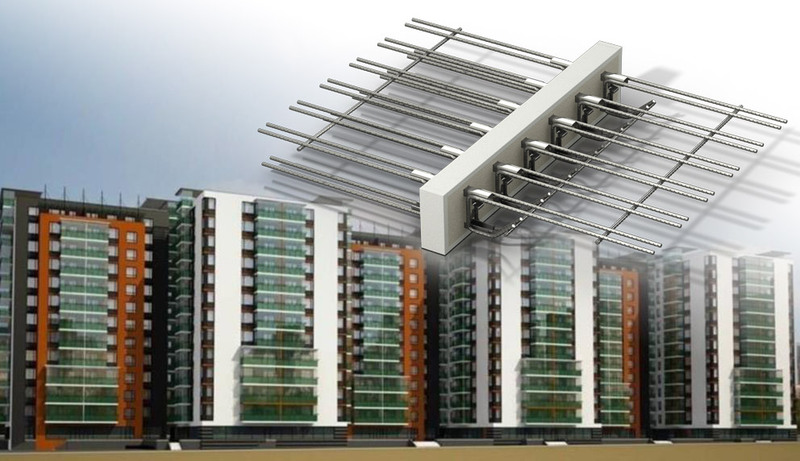 Peikko Group’s Russian subsidiary OOO Peikko delivers NIRO Cantilever Balcony Connectors to the residential housing project Aino to be built on Vasilevsky Island in downtown St.Petersburg, Russia. The total volume of the project is highest in Peikko´s history of NIRO Connectors, a total of 1.6 kilometers equaling 1.600 pieces. The developer and general constructor of the project is company Lemminkäinen headquartered in Finland. The structural design of the project is made by Russian GENPROEKT. Project Aino is a block of 6 luxurious apartment houses each 13-storey high. Peikko’s NIRO Connectors are used in all cantilever balconies of the project. The construction has been started in March 2013 and it will be finished in 2014. The fast developing and growing housing sector in St. Petersburg offers many possibilities in introducing new technologies to the Russian construction market. The market needs are changing, as both energy efficiency and interior air quality have gained more importance. The NIRO Insulated Cantilever Balcony Connectors are designed to minimize thermal conduction of cantilever balconies. NIRO Connectors have been successfully used in multiple projects in Western Europe and also in Russia. However, this project is one of the largest of its kind in the whole Europe. “Peikko sees a lot of possibilities for modern connection technology in the fast developing Russian construction market. We are very proud that our NIRO Balcony Connector was chosen by Lemminkäinen to this demanding high-end project in St. Petersburg. Our local manufacturing and warehousing enables effective service close to the customer in Russian currency. The NIRO Connectors for this project are manufactured at Peikko’s manufacturing unit in St. Petersburg.” states Topi Paananen, CEO of Peikko Group Corporation.